For any American the Electrical sockets and power in Cuba will be very common. 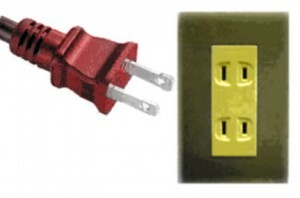 The flat plane type sockets we use in the United States being those used nationwide. A few exceptions exist but these are only at certain European hotels in Cuba on the island where European round pin plugs and sockets are used and the current is 220V. These are quite rare though so no reason to worry. The power supply for Electrical sockets and power in Cuba across Cuba is 110V in excepting of the few previously mentioned handfuls of hotels. Many of us in the US take electricity for granted. We leave appliances and sensitive electrical equipment permanently connected to the power sockets at our homes and thinks nothing of it. However, in Cuba, the Cubans know better and whenever there´s bad weather, thunder, lightning or any adverse conditions they quickly disconnect ALL appliances. Therefore, you should always disconnect everything when not in use. This also includes modems which have a strange tendency to burn out at the first sign of bad weather. You´ve been warned!